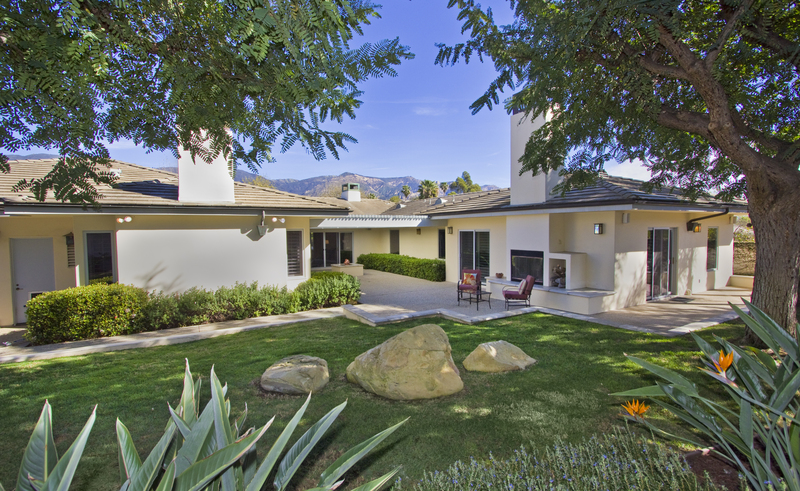 Open House this week is by appointment only. 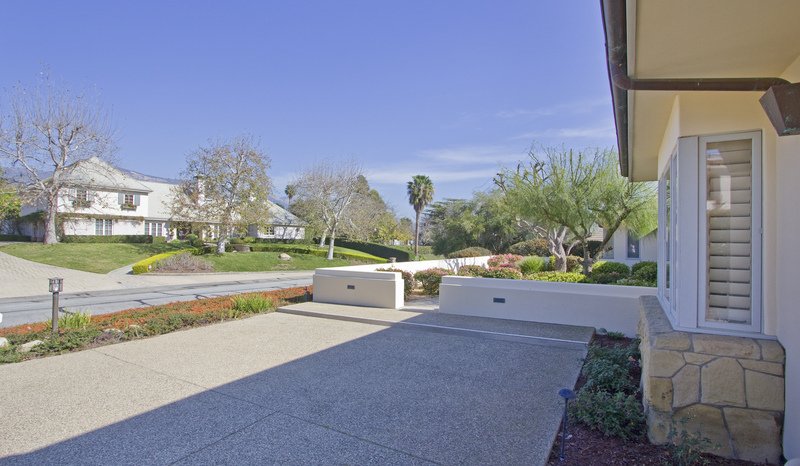 Call 805-285-2008 to schedule a private showing. 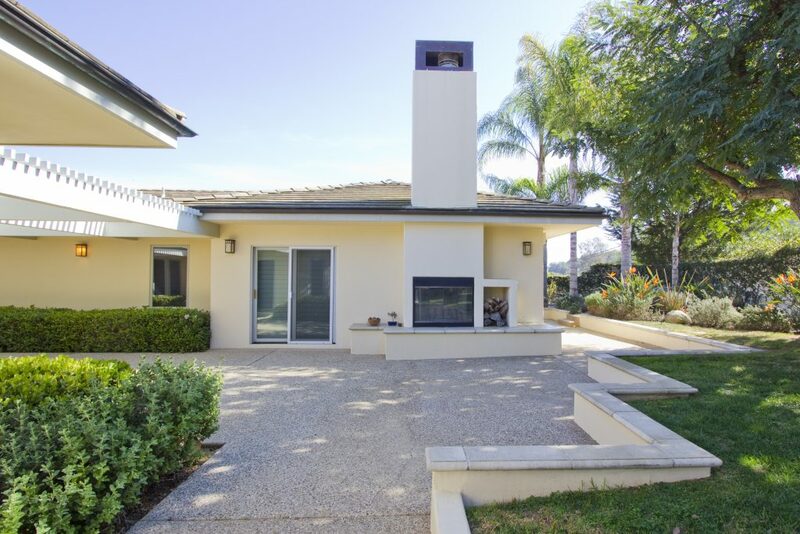 This 4 bed 4 1/2 bath beautifully designed single level home from renowned architect Don Nulty offers home owners a taste of California luxury that Santa Barbara is famous for. 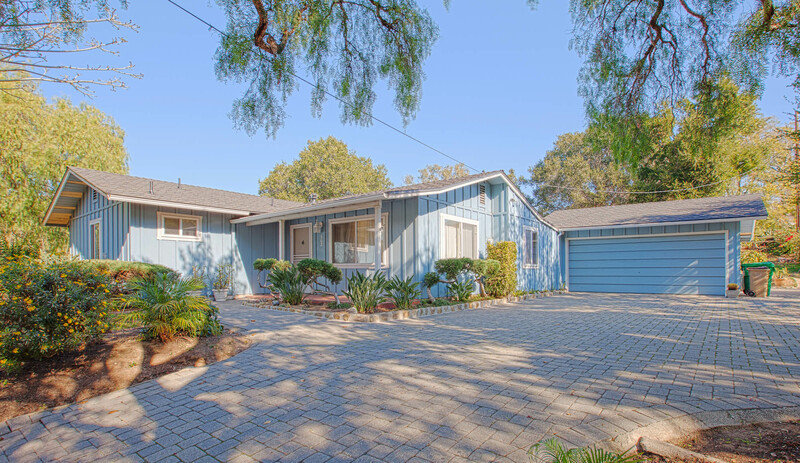 Situated in the sought after neighborhood of Rancho San Antonio this Santa Barbara home provides mountain views, tree lined streets, nearby parks, and all the best of the Santa Barbara foothills. 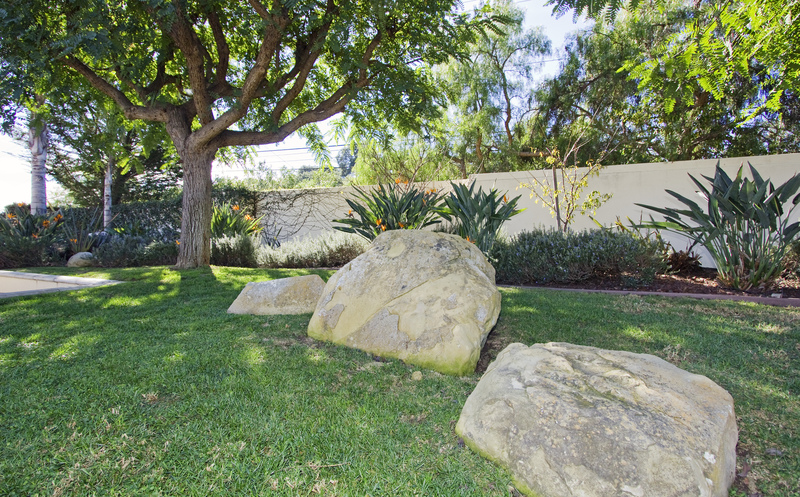 Make your way up the well maintained front yard and pass through the custom front door at 4587 Camino Molinero. 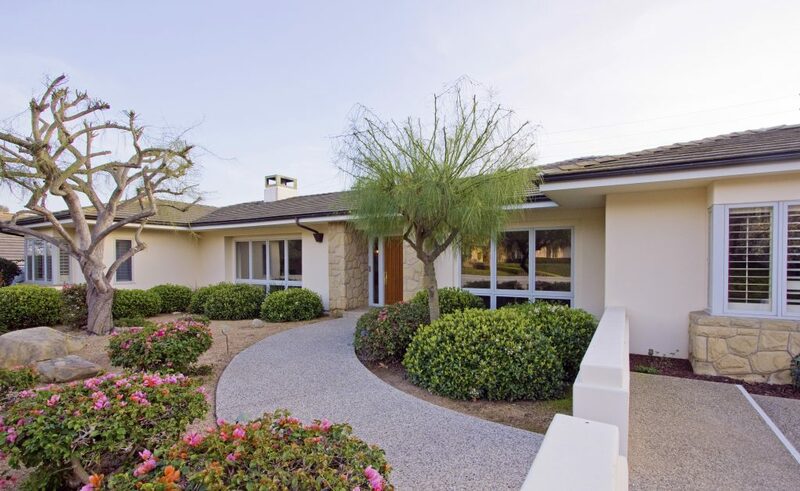 You’ll find yourself facing a large, open living room filled with natural light and large glass sliding doors that lead to a beautifully landscaped backyard. 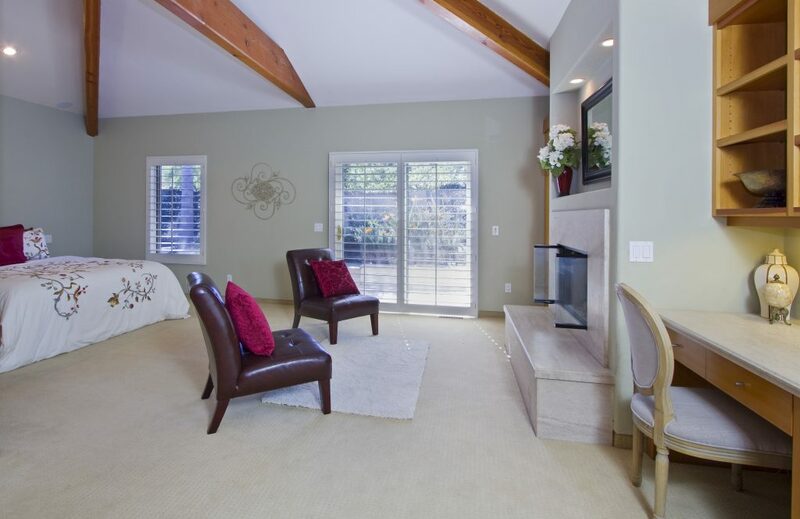 This spacious, custom built, approximately 4000 square foot home provides great flow and loads of natural light. 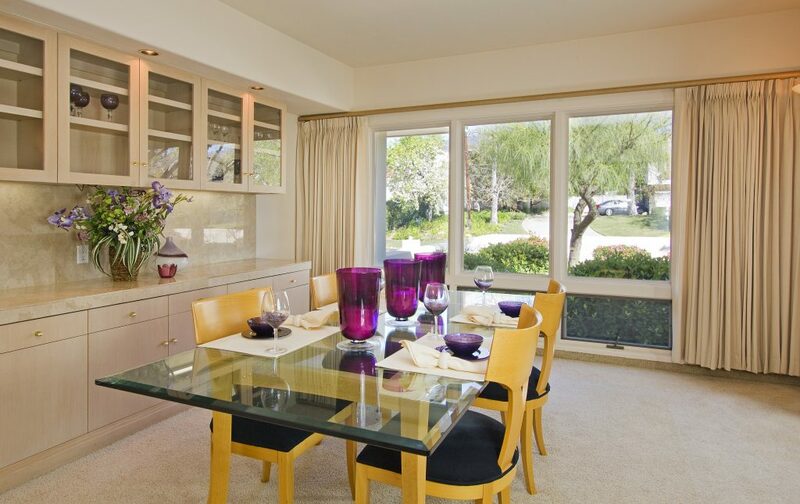 The open kitchen with granite counters and new wood floors provide quick and easy access to both the large family room on one side or the dining area on the other. The custom designed master bedroom with large fireplace and walk-in-closets give owners privacy by breaking off into its own secluded area with private hallway and bathroom. 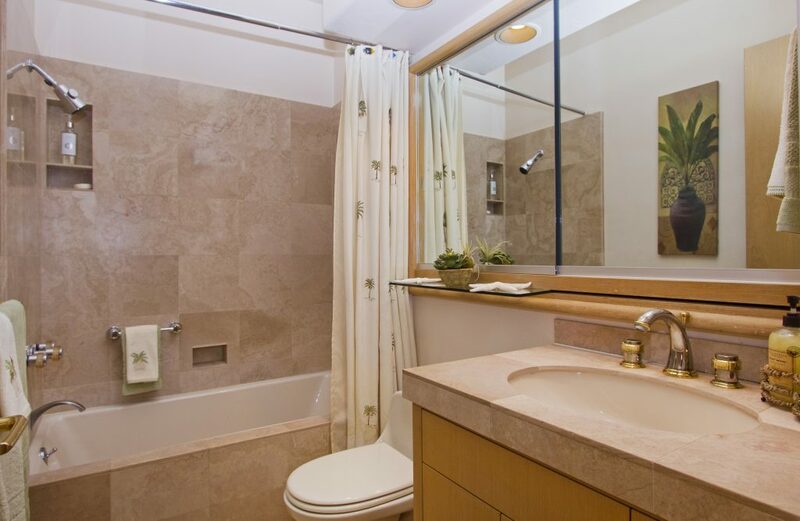 Dual sinks, separate toilet area, and walk in shower make this master bathroom truly luxurious. 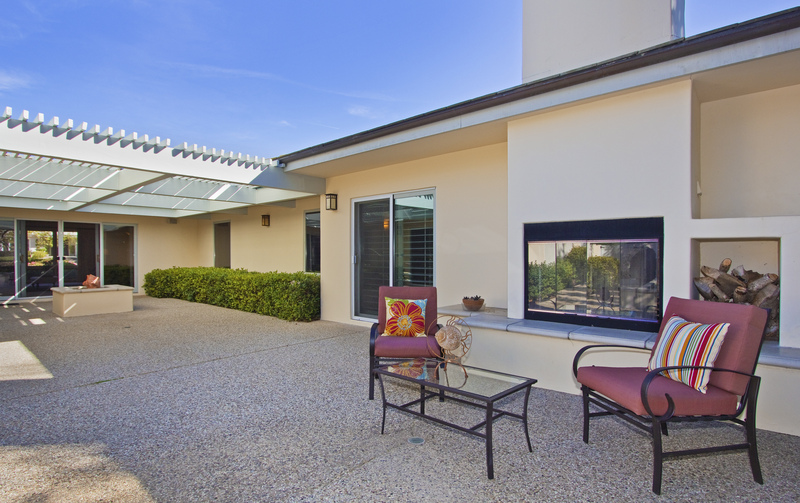 Extending out from the kitchen is the entertainment area and courtyard with fireplace– perfect for gatherings with family and friends or even just for afternoon of lounging and relaxation. 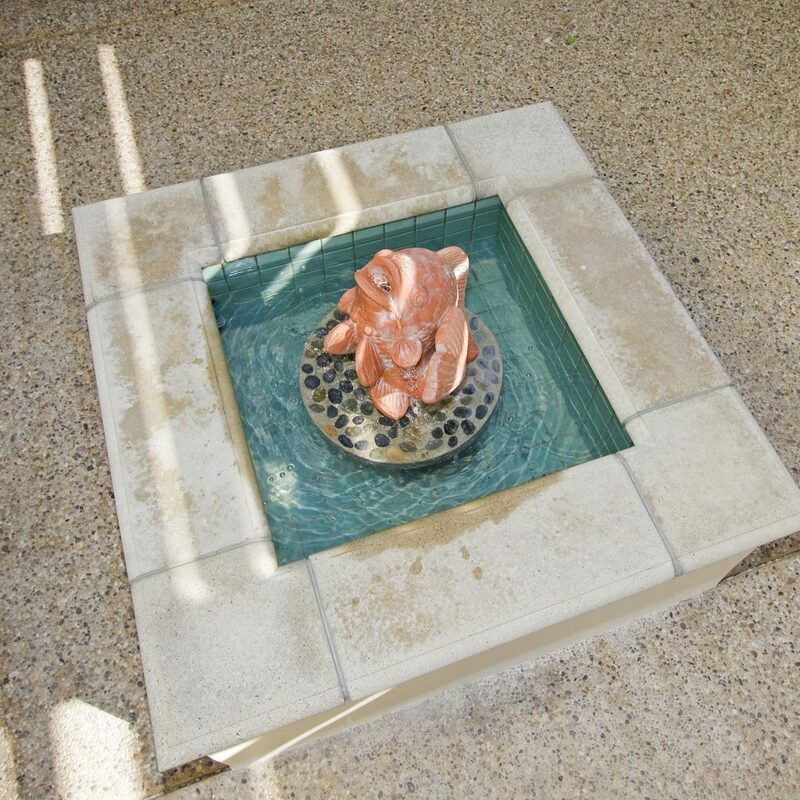 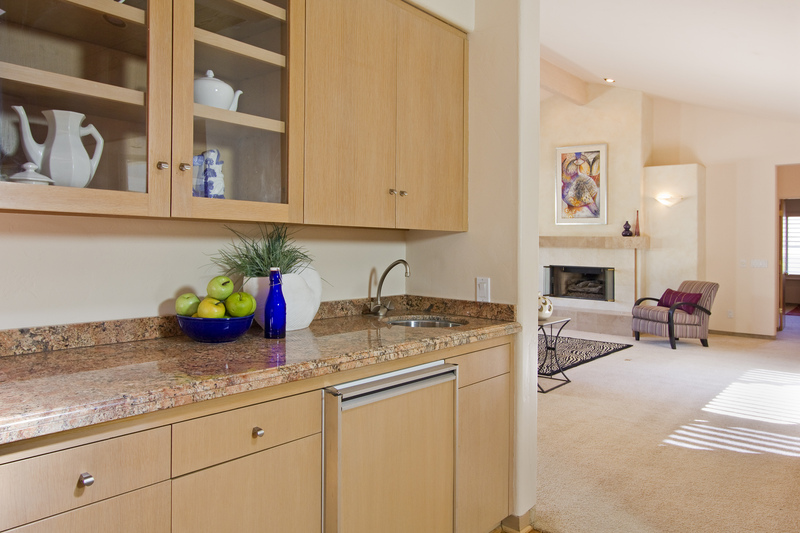 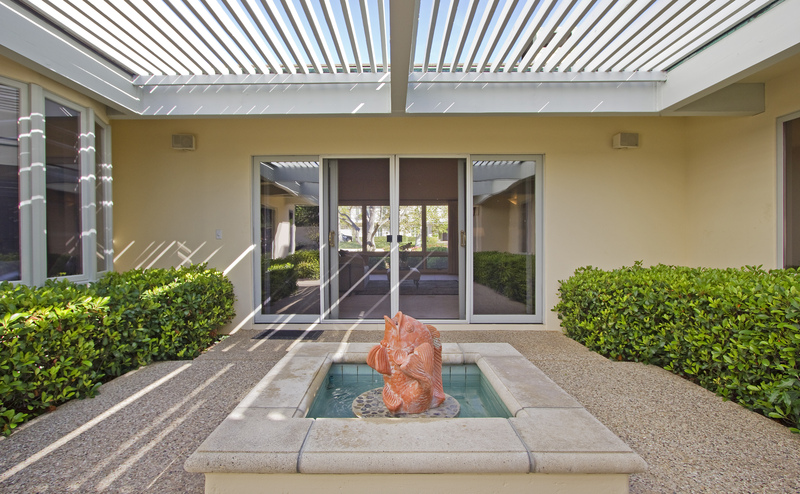 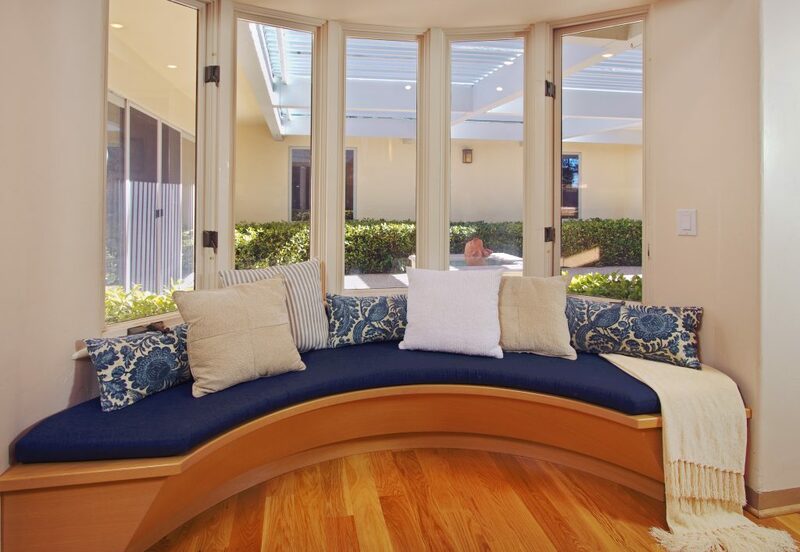 Guests will delight in the well-kept gardens and wide-open entertaining areas. 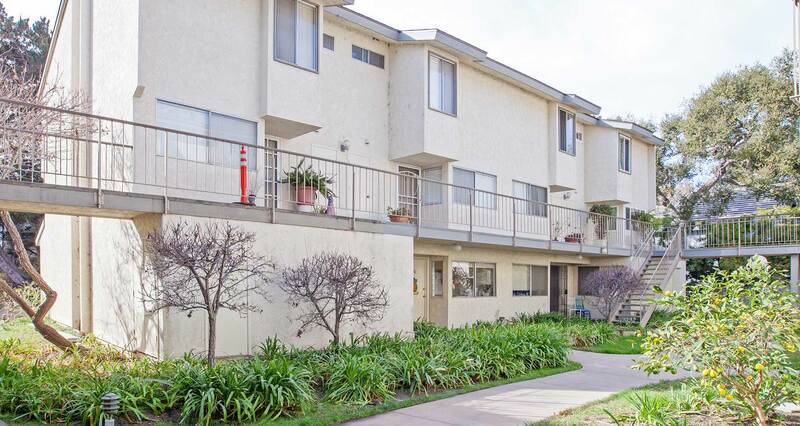 For animal and pet lovers there is a gated dog park and plenty of trails for hiking, bike riding, or walking just nearby in the Tuckers Grove Park area. 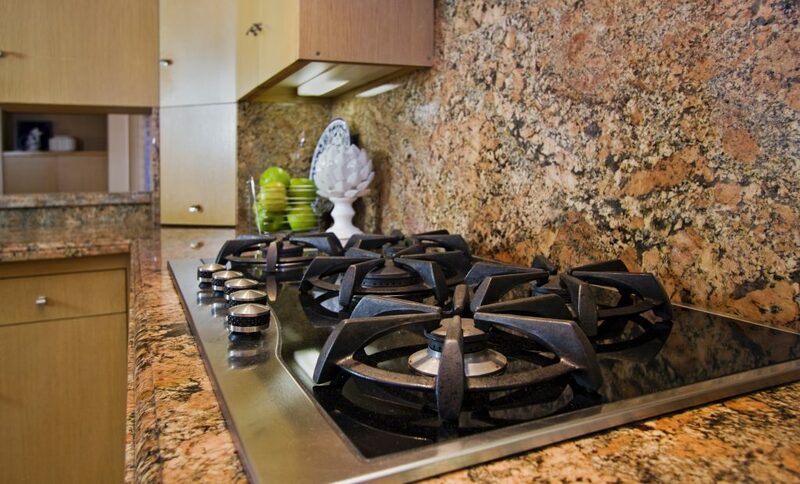 Also at Tuckers Grove Park you can find playgrounds, picnic tables, volleyball courts, and open pit BBQ’s. 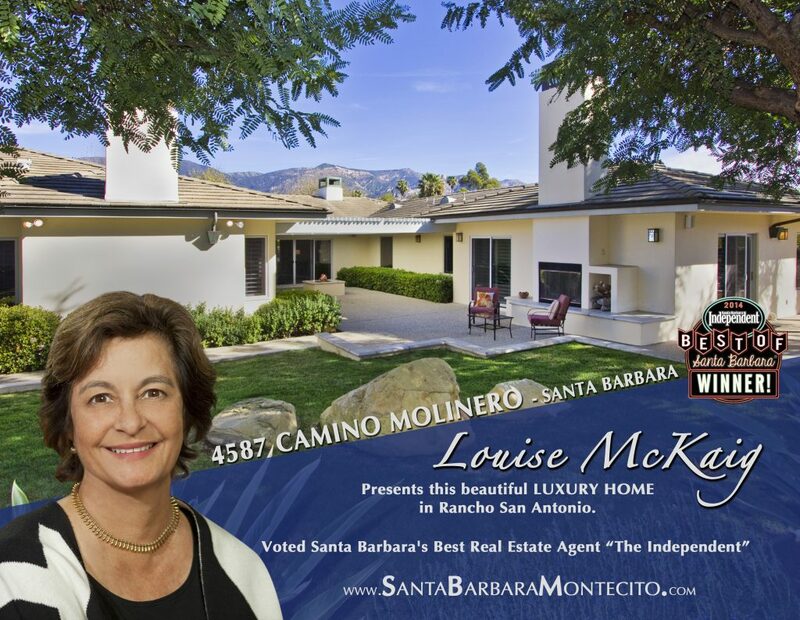 Call Louise McKaig and her Santa Barbara Montecito Luxury Real Estate Team to schedule a private showing or for more details. 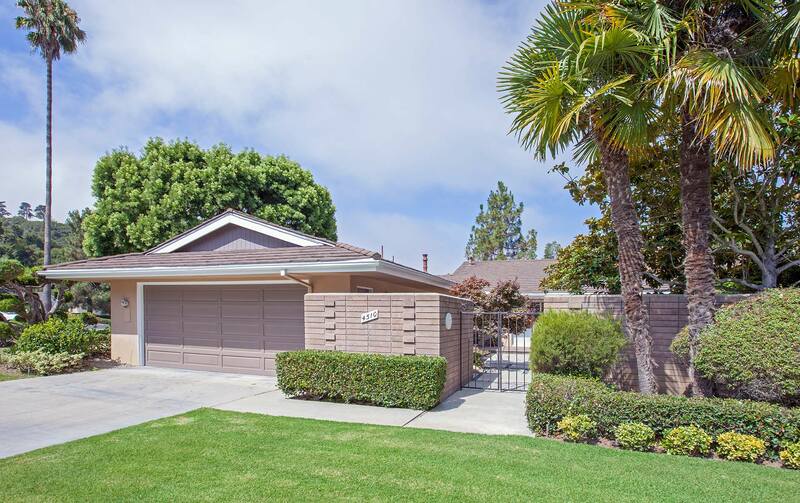 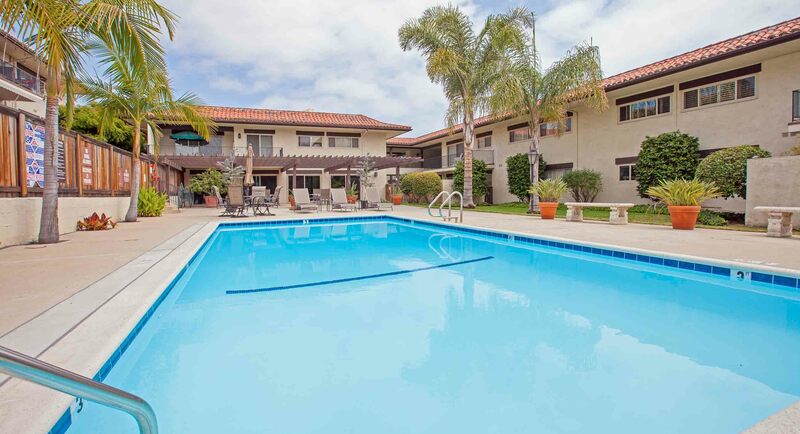 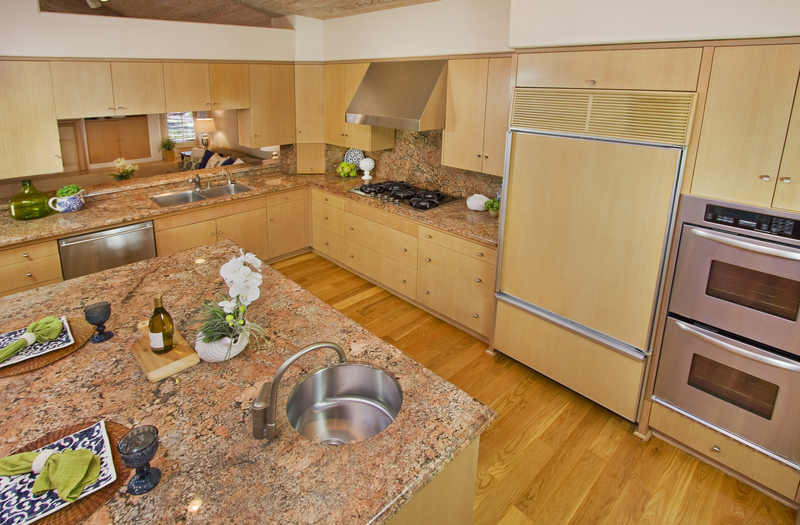 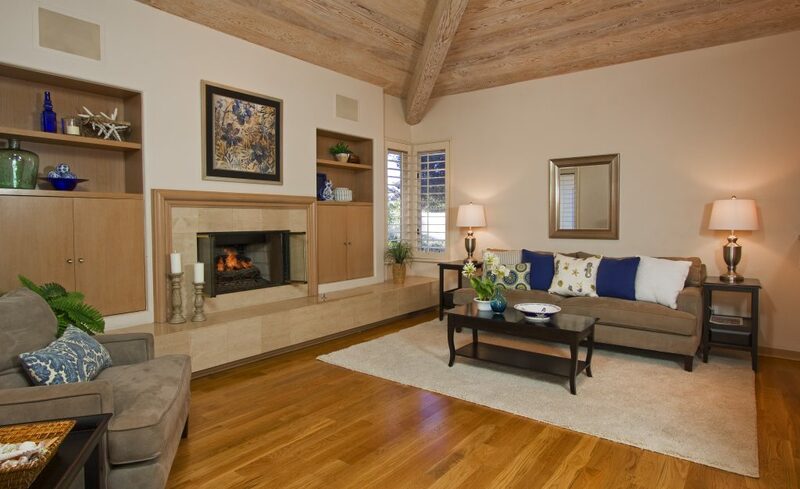 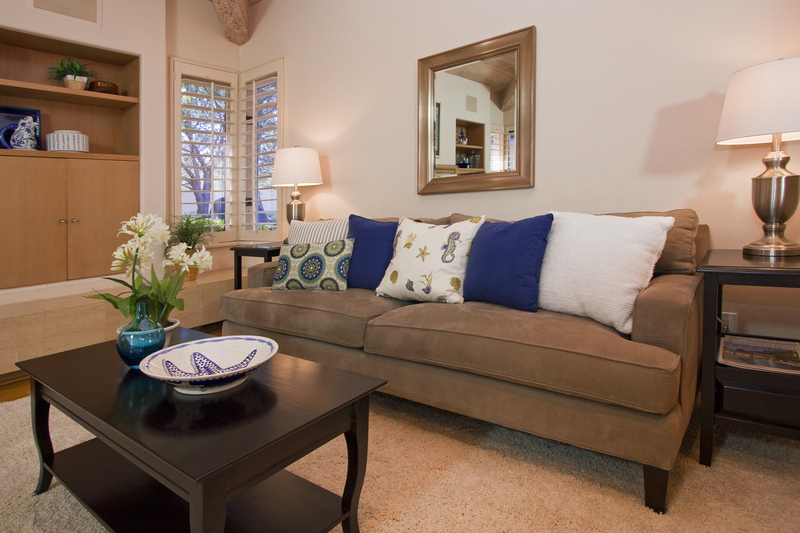 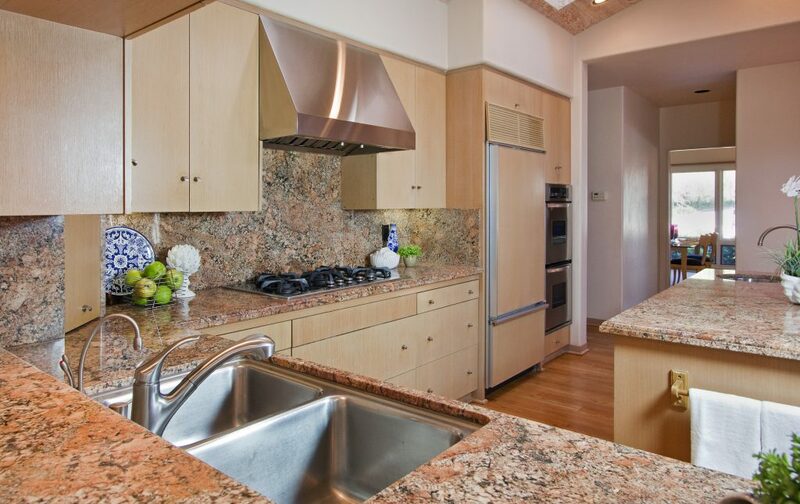 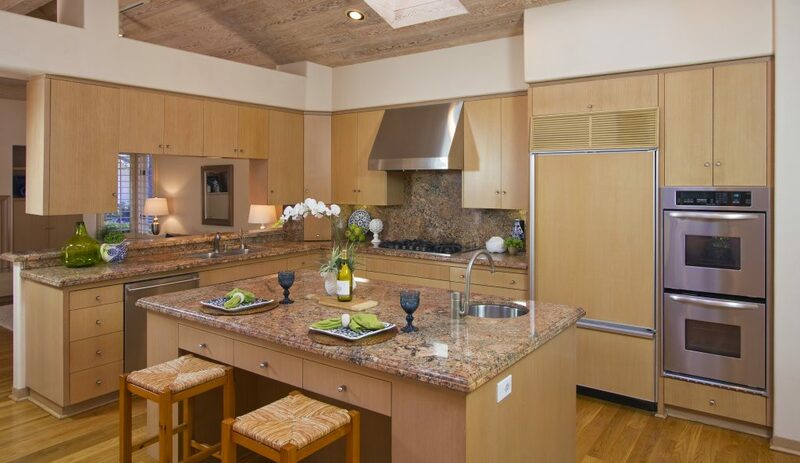 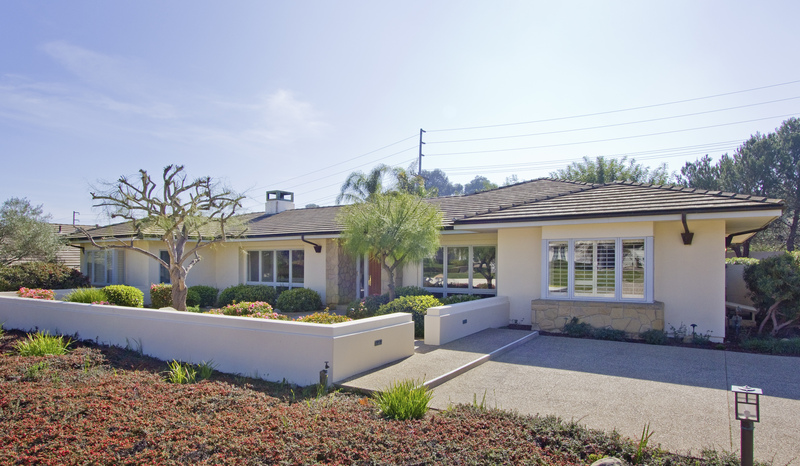 You can also visit this beautiful Santa Barbara home at our next public Open House. 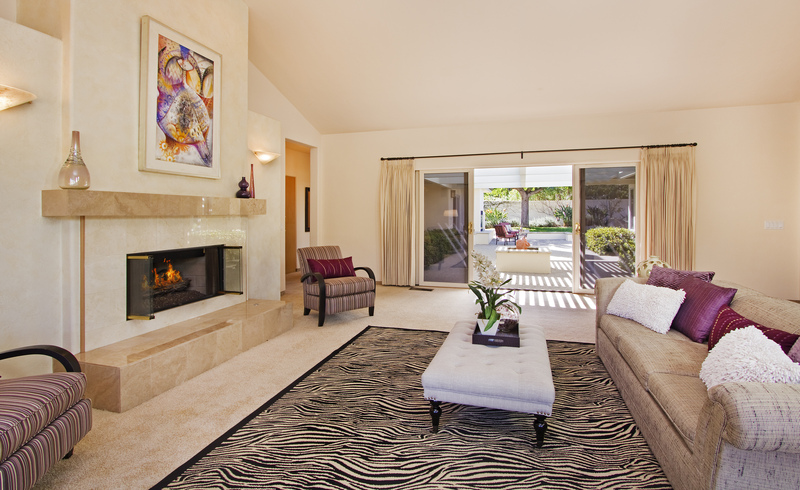 A Santa Barbara house’s large living room with sliding glass doors that open to the outdoors, perfect for entertaining. 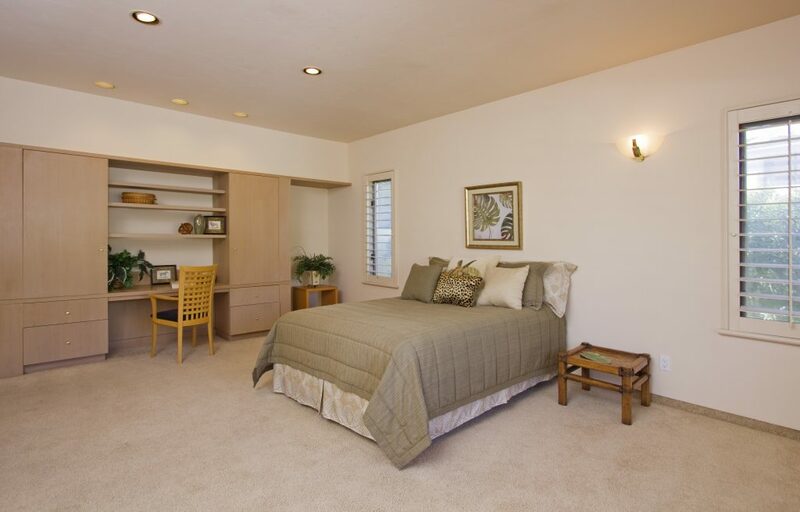 large and open bedroom/music room with custom built ins and large area for living the santa barbara luxury life. 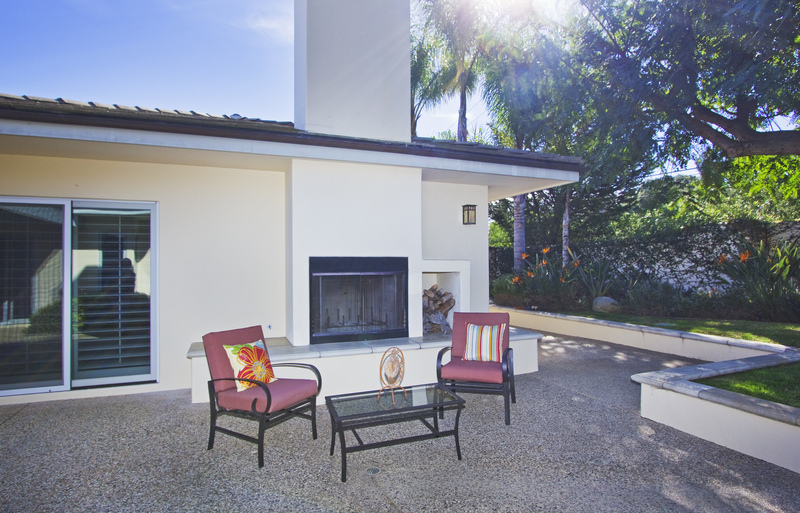 outdoor fireplace in backyard with options for entertaining and bbq in Santa Barbara. 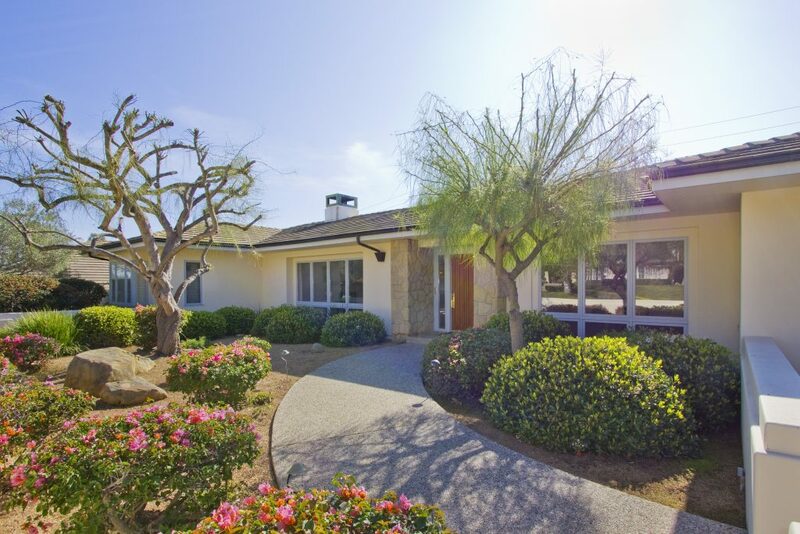 Louise McKaig’s santa barbara montecito real estate team brings you this wonderful real estate listing in Santa Barbara. 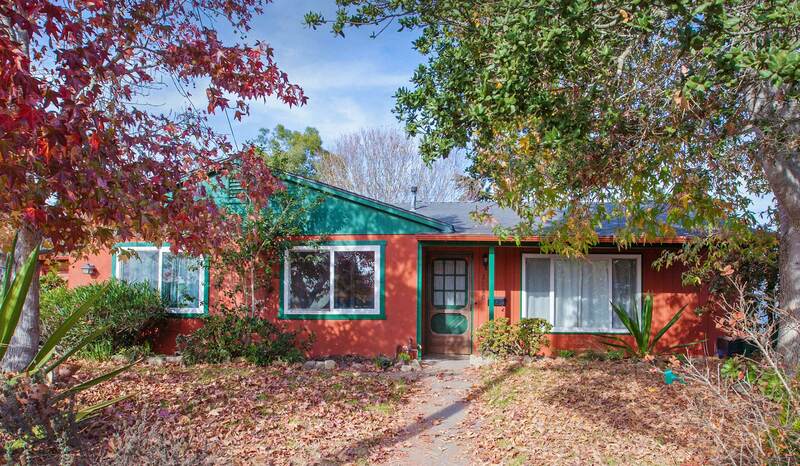 The backyard of this rancho san antonio home for sale in 93110 area. 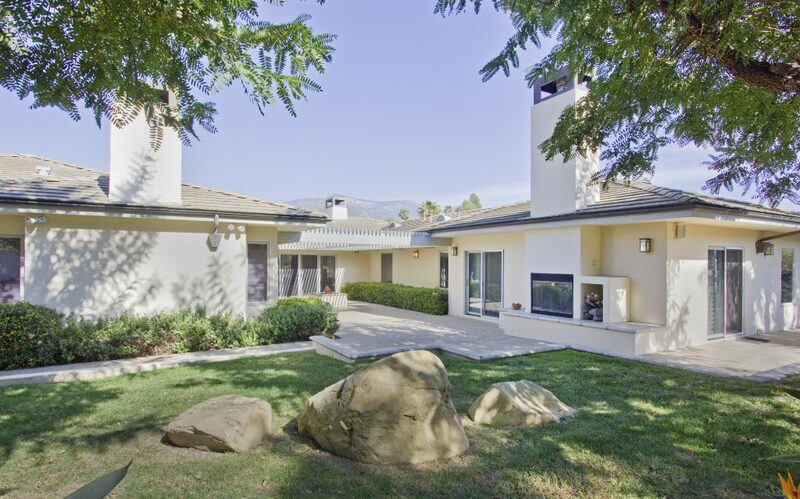 The property is listed by louise mckaig of village properties in montecito. Backyard in this santa barbara home for sale by top realtor louise mckaig of village properties and the santa barbara montecito real estate team. 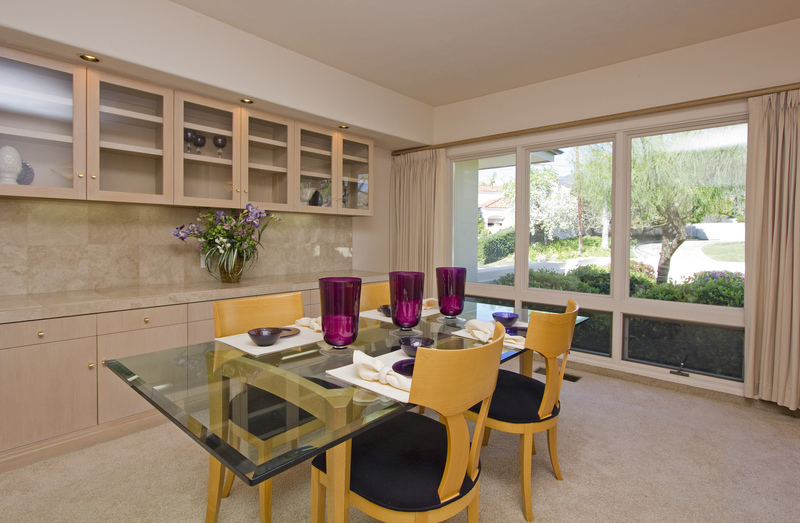 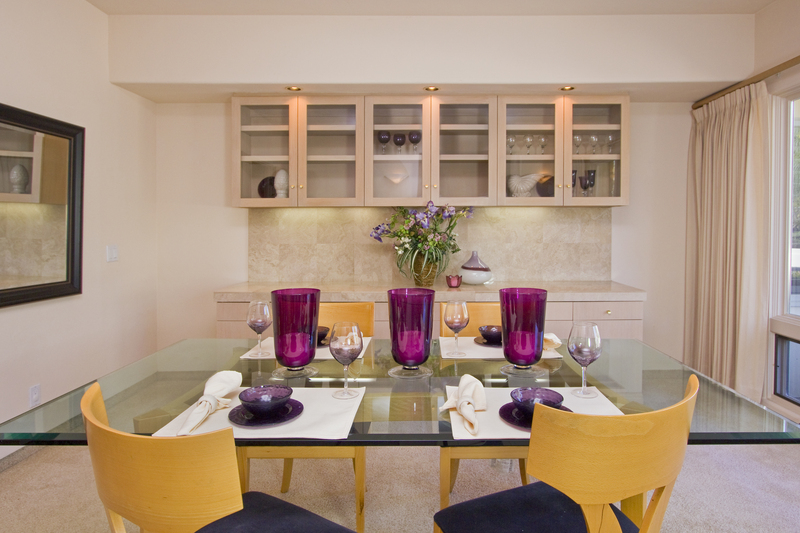 Dinning room photo in this custom built luxury santa barbara house. The large bedroom from another angel. 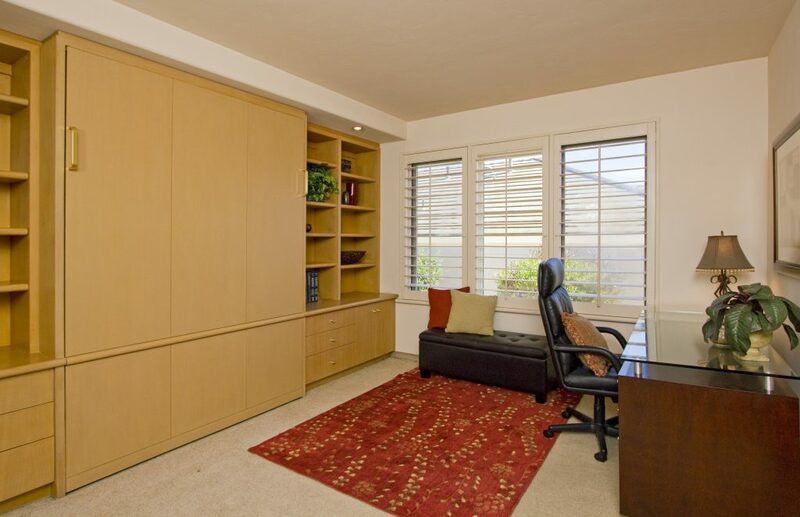 This photo shows how big the room is and displays the large built in cabinets and desk. 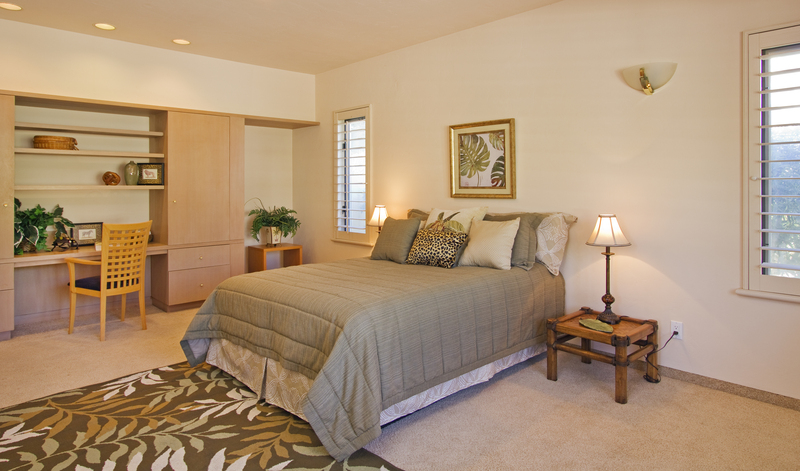 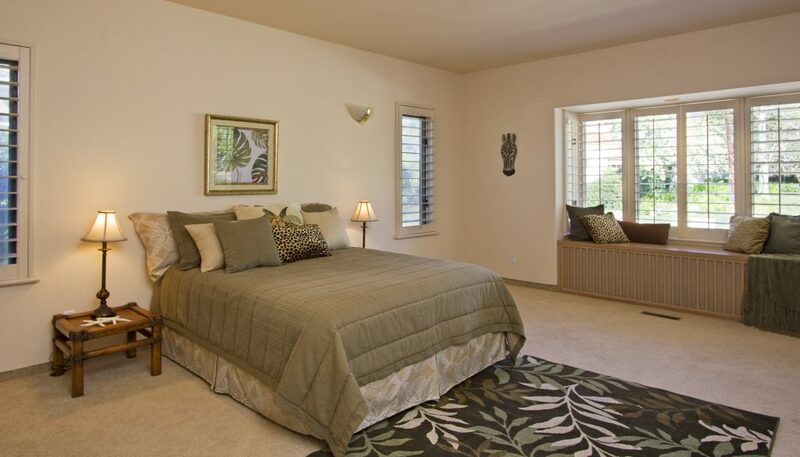 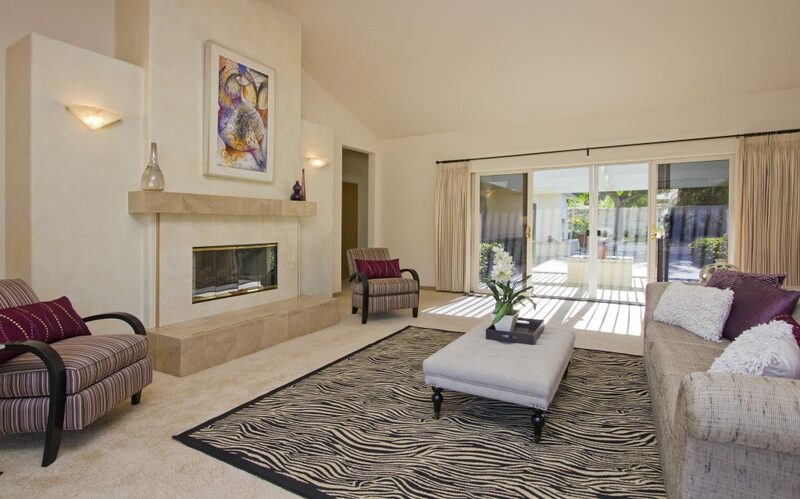 Picture showing inside a large bedroom suite in this santa barbara home for sale. 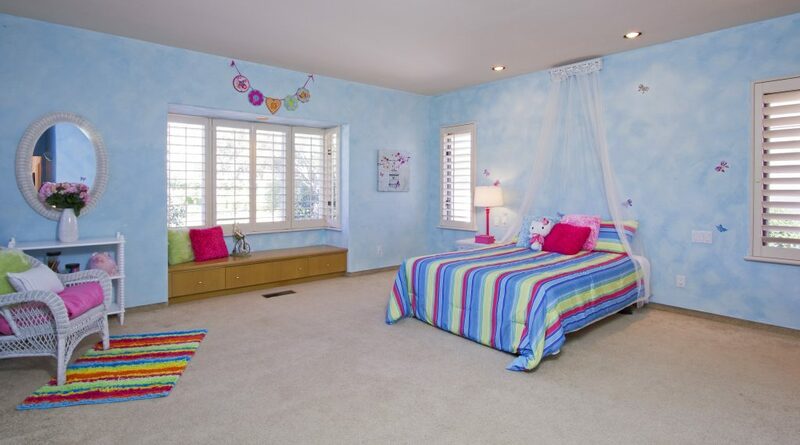 This room was designed as a music room and was later turned into a second bedroom. 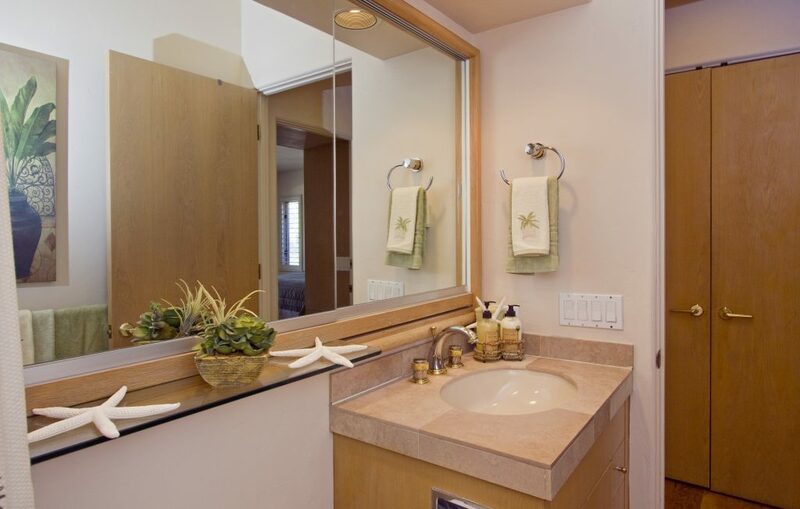 bathroom inside a santa barbara real estate listing from top real estate broker village properties’ Louise McKaig. 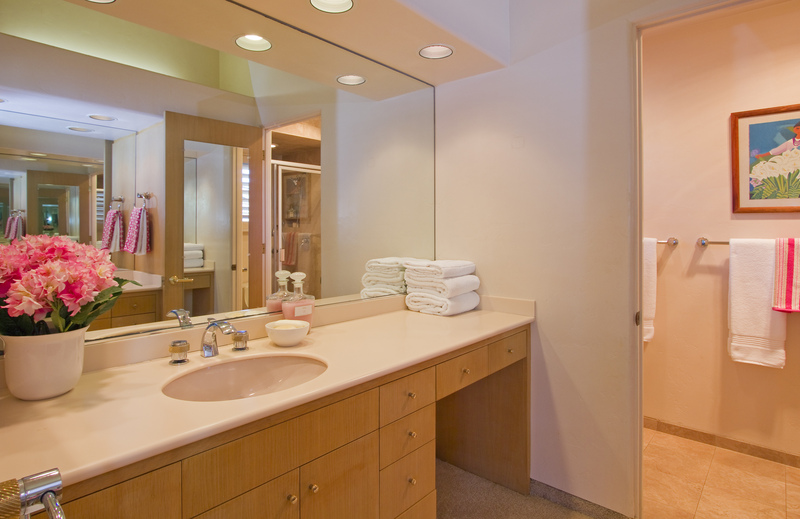 more pictures of this home’s guest bathroom attached to the “music room”. 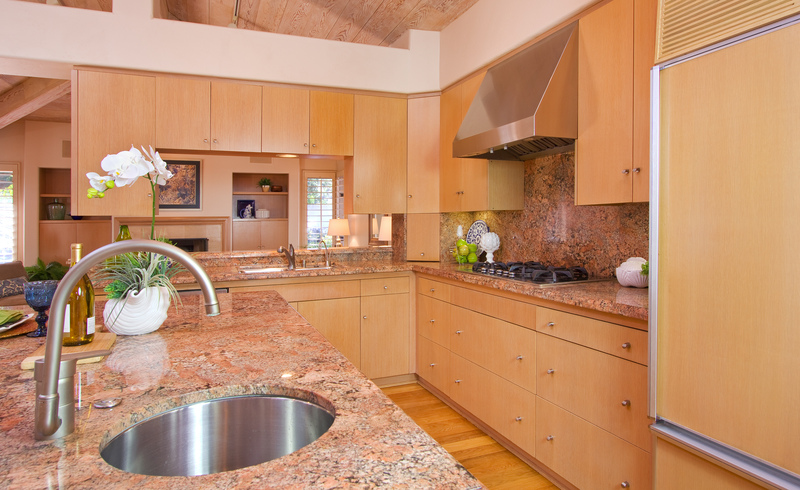 counter area of the entertaining bar attaching to the living room and kitchen great for parties, family gatherings, and events. 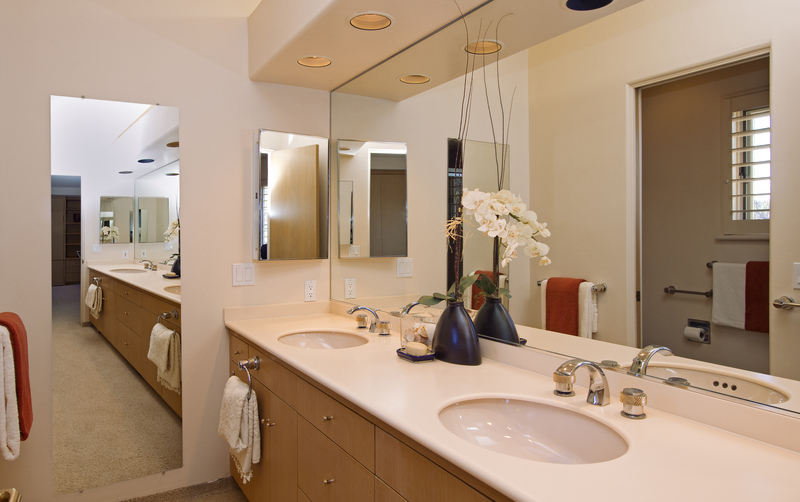 This santa barbara home provides a guest bedroom or office with private bathroom area and dual sinks in the luxury bathroom. 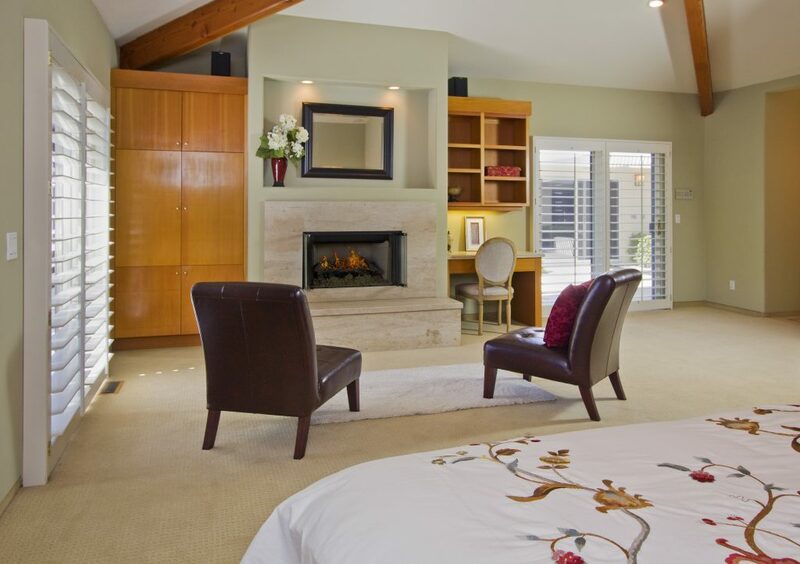 master bedroom and fireplace in this santa barbara house for sale from village properties’ Louise Mckaig. 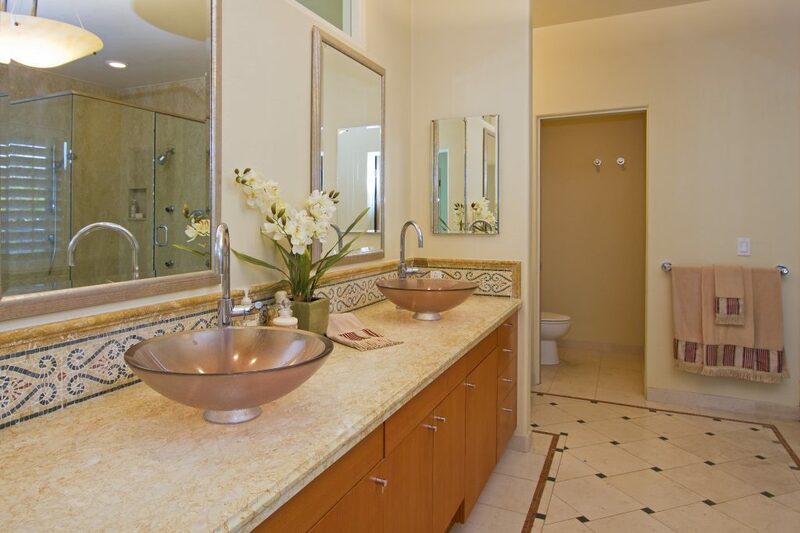 Childrens room bathroom of this luxury santa barbara house in rancho san antonio.